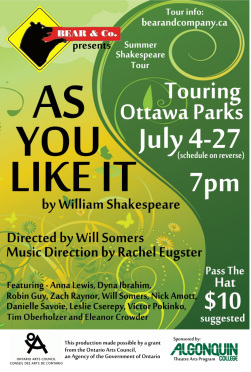 As You Like It - Bear & Co.
As You Like It toured parks throughout Ottawa and beyond, July 4-27 and appeared as part of the Downtown Rideau BIA's Summer Fling Theatre Series August 2-5 at Arts Court Theatre. One of William Shakespeare's most enduring pastoral comedies, As You Like It, was directed by Will Somers, and with music direction by Rachel Eugster. AS YOU LIKE IT featured Anna Lewis, Dyna Ibrahim, Danielle Savoie, Will Somers, Zach Raynor, Victor Pokinko, Tim Oberholzer, Nicholas Amott, Leslie Cserepy, Robin Guy and Eleanor Crowder. Our thanks to the Ontario Arts Council, City of Ottawa, Rideau Street BIA and Algonquin College Theatre Arts Program and to our fantastic audiences for a great run. ...What it is NOT too late to write about, is the latest offering from sort-of newbies Bear and Company, their touring production of Wm. Shakespeare’s AS YOU LIKE IT. I say ‘sort of’ new, because the company is comprised of a host of seasoned actors, headed by Eleanor Crowder who recently evolved their way out of Salamander Shakespeare and struck out on their own. I caught their action last week, my appetite having been solidly whetted with their Fringe production ‘TIS PITY SHE’S A WHORE, which sold out its entire run. And my apologies to thee Bear gang for being so tardy with my review, but I promise it isn’t out of a lack of enthusiasm. Seriously, there’s tons to enjoy in this Will Somers-directed bit of Shakespeariana. Telling the tale of a pair of would-be lovers, individually exiled from their homelands, and updated stylistically to 50′s-era America (which lends itself to some pretty funky costumes), AYLI stars Zach Raynor as Orlando, the youngest son of a great lord, now put-upon by his domineering older brother Oliver (Leslie Cserepy). After a spirited match with curt wrestler Charles (Nicholas Amott, mugging it up but good), Orlando catches the eye of beautiful Rosalind (Anna Lewis, who also doubled as costume designer), who is about to be cast into exile by a vengeful duke (Eleanor Crowder herself, who digs into her villainy with glee). With her sister (Dyna Ibrahim), and the court fool (Somers), Rosalind flees into the woods, disguising herself as a beatnik Fonzie to ease their passage (it makes sense when she explains it, trust me). Things get complicated when Orlando shows up, and Rosalind decides to continue her pretense of masculinity. Things get even MORE complicated when Orlando finds Rosalind’s Mother in the woods (Crowder again, playing the good mirror to her evil alter-ego the Duke). Things then get their complicated-est when flighty farmgirl Phoebe (Danielle Savoie) falls head over heels for Rosalind (in her male disguise of Ganymede). Never let it be said that Shakespeare didn’t like juggling a lot of balls at once. It’s love at first sight, repeatedly. As You Like It is one of Shakespeare’s romantic comedies. As with all his good romcoms, As You Like It starts with a random meeting between boy and girl – in this case, Orlando and Rosalind – who instantly fall in love. Then, independently of one another, Orlando and Rosalind are banished and forced into exile. Both Orlando and Rosalind – now pretending to be a man named Ganymede – end up in the Forest of Arden. Eventually they find one another again. This is Bear & Co.’s first full summer production (following the wildly successful Fringe production of Tis Pity She’s a Whore) and they’ve just come off a month of touring Ottawa’s parks to finish off their run in Arts Court Theatre. Which is the first problem I had with As You Like It. The first twenty-ish minutes of As You Like It takes place in the lobby of Arts Court theatre – set up as theatre of the round, with seating fully surrounding the play area. The problem is that the acoustic quality in the lobby is horrible and, particularly when the actors were loud or not directly facing you, it was really hard to hear them properly. A lot of lines were unclear meaning details, crucial in this establishing part of the play, were easy to miss. When I say that that was the “first problem”, I really mean “only problem” because once the show moves into the theatre proper (also set up ¾ in the round), it proves to be a very entertaining show with a really wonderful cast and I have nothing but positive to say. Bear & Co. has updated the setting of As You Like It to a 50s-ish backdrop, turning characters into a band of musicians. What particularly works about this is the incorporation of wonderful old-timey music that populates scene changes and other moments. I loved the music, and Tim Oberholzer could have spent twice the amount of time singing during the play and I’d have been more than happy to listen. Many of the cast take on multiple roles which can cause a touch of confusion, but for the most part they’re all distinct enough that everything is easy to follow (even with the lobby problem). Most everybody in the cast was largely all stand-out and carried themselves well. Anna Lewis is an excellently captivating Rosalind. Other notables include Tim Oberholzer, Danielle Savoie (whose scenes as Phebe – in love with Rosalind while thinking she’s a he – are particular highlights) and Leslie Cserepy (the only actor I could hear clearly 100% of the time in the lobby). It’s a strange story structurally but in the end, As You Like It was a lot of fun, and, really, who can not like a play that ends with a quadruple wedding? The AS YOU LIKE IT parks tour was made possible by the generous sponsorship of The Ontario Arts Council - an Agency of the Government of Ontario. The Ontario Arts Council (OAC) is guided by the far-seeing mandate it was given in 1963 – to foster the creation and production of art for the benefit of all Ontarians. OAC offers more than fifty funding programs for Ontario-based artists and arts organizations, with funds from the Ontario government. Bear & Co. gratefully acknowledges the financial support of the City of Ottawa. The City of Ottawa is committed to fostering an environment in which arts development is valued and artists of all disciplines are supported in the creation of their work. Funding for arts and culture aims to spark the development of a vibrant, artistic city through funding programs based on a peer review process. AS YOU LIKE IT as part of the Summer Fling Theatre Festival was made possible by the generous sponsorship of the Downtown Rideau BIA. The Downtown Rideau BIA represents over 475 businesses and organizations in Ottawa's core and is responsible for administering the Underpass outdoor urban performance and exhibit venue and Summer Fling – A Theatrical Affair! performing arts festival. Rehearsal space for AS YOU LIKE IT, was made available through the generous sponsorship of the Algonquin College Theatre Arts Program. This two-year Ontario College Diploma program provides students with instructional theory and applied performance and production techniques for theatre arts. 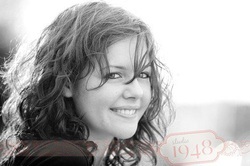 Anna Lewis is an actor and theatre creator, with a BFA in Theatre from Concordia University. 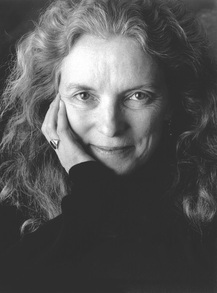 While in Ottawa, she has worked with A Company of Fools (A Midwinter's Dream Tale), The Meus (Permanent Smile) and Salamander Shakespeare Co (Measure for Measure, A Midsummer Night's Dream, Romeo and Juliet). Film credits include Happy Suds, and the title character in Brown Sound Underground with Nona Leslie, both filmed in Vancouver. Anna previously played Annabella in Bear & Co's 'Tis Pity She's A Whore at the 2012 Ottawa Fringe Festival. Last year she spent nine months in England absorbing as much as she could about theatre: seeing plays, attending workshops, and writing and developing the one-woman show How (Not) to Kill the King, which she debuted at the Winnipeg Fringe Festival. Despite our best efforts to obtain a bio from Zach, he remains an ever elusive man of mystery. While little is publicly known about him, it has recently surfaced that he is currently studying theatre at the University of Ottawa where he appeared in Chekhov's Three Sisters. 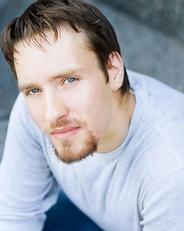 He also appeared last summer with Salamander Shakespeare Co. in the title role of Othello. Rumour has it he's also a cat person. Robin has appeared most recently at The Gladstone theatre in the ensemble of Cyrano de Bergerac with Plosive Productions, and also appeared with SevenThirty Productions as Maureen in I do not Like Thee, Dr. Fell, as well as Lucienne in last season’s A Flea in Her Ear. Local work also includes Birth (Director, Gillian) for her company Three Sisters, Oreo for Silent QUEMB, Some Girls for Vision Theatre, as well as Annie in The Miracle Worker, Maria in The Sound of Music, Diana in Anne of Green Gables, and Christina in Dancing at Lughnasa. She records voiceovers for numerous audio projects, performed a recurring role in Ottawa’s Me, My House, and I, and can often be seen slashing, throttling, or collapsing at Scarlett’s Dinner Theatre. Offstage, Robin teaches piano, voice, and theatre, and wrangles two small children, a collie, and a very patient partner. Will is an actor, director, creator, and reacher of things on high shelves based in Ottawa. He is a core company artist with Salamander Theatre, Eastern Ontario's biggest English language theatre for young audiences, where he has appeared in plays, brought workshops into schools, goofed around (artistically) at summer camps, and is currently co-creating a brand new play based on swan maid legends. He is also a teacher with OYP Theatre School, where he has written, directed, or written/directed better than an dozen plays and short films with students by the dozen for four years. In contrast, Will's work as a director has taken him as far away from young audiences as you can imagine. 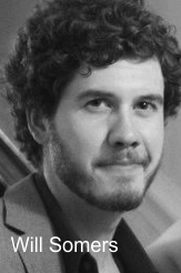 In collaboration with Chamber Theatre Hintonburg, Will has directed Lee MacDougall's “High Life”, and staged Mamet's “Sexual Perversity in Chicago” in a bar. Acting credits include Romeo in “Romeo & Juliet”, The John and Collage Man in “The Mechanicsvile Monologues” series, and a lead role in Amanda Sage's short film “Bliss”. Will previously played Bergetto and The Cardinal in Bear & Co's 'Tis Pity She's A Whore at the 2012 Ottawa Fringe Festival. Eleanor Crowder is a writer, director and actor. Ottawa audiences remember her Mother Courage for James Richardson and her Shrew for Peter Hinton. Most of her work tours, playing school gyms, community halls, ruins and glorious found spaces. Her devising and writing runs from first impulse (Family Stories with Kate Grier, coming to a kitchen table near you) to grandscale (The Chinese Bowl, Murder at the Avalon and GleeBE, the Musical). Her most recent play, Momma’s Boy, plays intimacy with big theatre values. The bio: Belfast, Kingston, Calgary, Sudan, Ottawa, experimental theatre, physical theatre, nationalist voices, popular theatre, theatre in education, as many risky experiments as a young family will allow. Outaouais Popular Theatre, theatre in action. Salamander Theatre. Asterisk Rising. And continuing gratitude and respect to my unfurling repertory of actors and co-creators spread across the country. Eleanor previously directed Bear & Co's 'Tis Pity She's A Whore at the 2012 Ottawa Fringe Festival. A soon-to-be third-year acting specialist at the University of Toronto and Sheridan College, Victor Pokinko is an Ottawa born-and-raised actor who lives in the cool embrace of Toronto for most of his time. Having spent last summer training with the inimitable Peter Wylde in The Wylde Project’s “Acting Shakespeare”, he is thrilled to be putting his classical training to good use in Bear & Co.'s 2012 summer season. 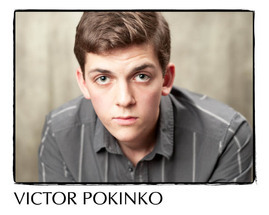 Victor previously played Giovanni in Bear & Co's 'Tis Pity She's A Whore at the 2012 Ottawa Fringe Festival. Favourite stage credits include : Nicholas Nickleby (Theatre Erindale), Untitled! : the Musical (Erindale Fringe), No Power Greater/L’Union fait la force (Dramamuse). Victor has also recently made his directing debut with the award-winning production of Twilight Soldier at the UofT Drama Festival. Danielle has been involved in the performing arts since high school, dabbling in writing and directing, though her true passion is for acting. She is currently a 3rd year student at the University of Ottawa, enrolled in the Honours Specialisation in Theatre program with a minor in Arts Administration. You may recognize her from such diverse shows as Red Noses, The Death of Tybalt, Midwinter's Dream Tale, or Le Cimetière des Voitures. Danielle works hard both at school and in independent productions to become a well-rounded artist and entertainer. She is a Soprano, is fluent in both French and English, and has a second degree black belt in Taekwondo. Danielle previously was a member of the ensemble of Bear & Co's 'Tis Pity She's A Whore at the 2012 Ottawa Fringe Festival. Born in Yellowknife, NWT, Leslie Cserepy has been a part of the Ottawa theatre scene for about 4 years now. He is a graduate of the Algonquin Theatre Arts Program, and has worked on various shows throughout the city such as A MIDWINTER'S DREAM TALE (Company of Fools) THE MECHANICSVILLE MONOLOGUES (Chamber Theatre) TAMING OF THE SHREW and ROMEO AND JULIET (Both at Kanata Theatre) THE DANGER PROJECT for May Can Theatre and THE CRACKWALKER (The Meus Productions/Hollywood Fringe Festival). Leslie is thrilled that he will be able to overcome his fears of both company and bears with Bear & Co this summer! Leslie previously played Friar Bonaventura in Bear & Co's 'Tis Pity She's A Whore at the 2012 Ottawa Fringe Festival. A recent graduate from the University of Ottawa (Specializing in Theatre), Nick is an actor, pianist, composer, fast-food cashier, awesomeness manufacturer and playwright operating within the merry little community of Ottawa, who is totes excited to be working with the Bear in its premiere production. He can be presently seen performing in The Curse of the Pekinese Peregrine with Eddie May Murder Mysteries and - as well as whoring around with his fellow bears - shall be directing his own Bard-inspired play for Ottawa FringeFest 2012: Mercutio and Ophelia. Past credits include: Macbeth in Macbeth (Sock n' Buskin), Finn Studson in Murder in the First De-Glee (Eddie May), Ferneze in The Jew of Malta (Drama Guild), Holofernes in Howard Barker's Judith (Unicorn Theatre), Jacob Marley in A Christmas Carol (VS Theatre), Prometheus in Olympus: the Musical (Counterpoint Players). Nick previously played Grimaldi in Bear & Co's 'Tis Pity She's A Whore at the 2012 Ottawa Fringe Festival. 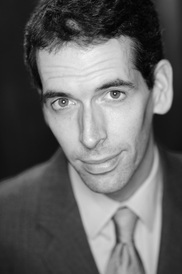 Tim Oberholzer is an Ottawa-based actor having appeared recently as Jack in Seventhirty Productions' The Communication Cord and as Artie in Eddie May Mysteries' The Curse of The Pekinese Peregrine. He has also appeared previously in Cyrano De Bergerac and The Shadow (Plosive Productions), I Do Not Like Thee Dr. Fell, (Seventhirty Productions) and Othello (Salamander Shakespeare Co.). 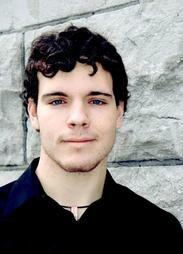 He is a graduate of the Algonquin College Theatre Arts program. He also manages the box office for theatre programming the Gladstone Theatre and does freelance PR and backstage work. He is also a board member and Business Manager with SevenThirty Productions. Tim previously played Vasques in Bear & Co's 'Tis Pity She's A Whore at the 2012 Ottawa Fringe Festival.